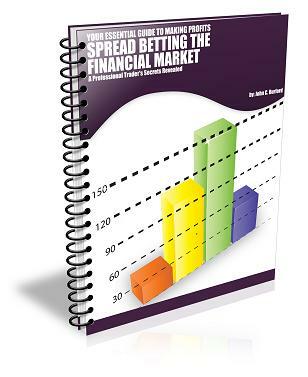 In my 75-page information-packed eGuide, I spill the beans on how to make money in the financial markets – by trading like a professional and what you need to do to get there. Are you a beginning trader? Or are you a trader that has simply not found success yet? Have you thought about your goals? Have you found a way to achieve them? The first thing you must do before you start trading that other books ignore completely! How to discover your personality strengths and weaknesses – in 10 minutes! This is the one deciding factor behind your success – or lack! You can get all this information NOW by scrolling down to the Buy Now button. As I said, this is an information-packed eGuide that gets you fully prepared for success – and no expensive software is needed. And all at a very reasonable price! You see, most expensive books on trading give tons of information on technical analysis but very little attention is paid to matching your personality to the methods and trading strategies you should adopt for success. There are as many trading strategies and styles as there are traders, and just picking one at random just won’t cut it. Maybe that’s what you have been doing – but here, I show you how to intelligently match market conditions with your own unique style. Are you conservative and fairly risk-averse? Are you more gung-ho and up for a challenge? Are you a mixture of the two? Are you more suited to day-trading, swing trading, or position trading? You see, when I started my trading career, there were no computers, no quote screens, and if I wanted a price on a commodity, I could either phone my broker, or drop into his office where there would be other traders staring at a huge wooden board with prices merrily clacking away as the quotes changed. During busy periods, the clack boards would erupt into a cacophony of sound! How things have changed – now we can stare at our own personal computer monitor showing every technical indicator you care to follow in a multitude of markets. And, you can enter trades at the click of a mouse. It is so much easier now to lose money! Which means, if you want to avoid this fate, you must have a solid trading plan that matches your personality. And for total success, you need to treat trading as a business. In my eGuide, I show you how. This where my eGuide is worth its weight. I show, in very simple terms, how you can build such a plan. It includes an intelligent money-management scheme which, if you follow it, will almost guarantee you start off (or get back) on the right foot. And that is what I want for you. Too many traders lose money (it is said over 90% lose or give up within a year). I show you how to avoid this fate by following a few simple rules with even the smallest of accounts. And finally, don’t be seduced by promises of instant riches by software vendors that charge the earth for their products. There really is no Holy Grail software for trading success. If you follow the guidelines I outline in my eGuide, I just know you will have all the tools you need to make profits just as the professions do. The markets are in turmoil in 2010. Here is your opportunity to make serious profits from these huge moves that are already underway. Don’t miss these huge once-in-a-lifetime moves! And, here’s to your trading success! To get started, just click here to buy my eGuide. And if you are not totally delighted with your purchase, I will offer you a 60-day 100% money-back Guarantee – no questions asked. The Markets Are Moving Fast! Don’t miss the action – huge swings underway in the Dow Jones, the FTSE, Gold, fx. Learn from the many charts I show that were pulled from my screen in real time. These are no cherry-picked charts from the past that anyone could prove anything from! And you probably know how tough it sometimes is to pull the trigger, even though you have found a promising set-up for a trade. My eGuide can give you the confidence you need to enter (and exit) markets at the right time – delay can often cost a trader big money. Overseas customers can pay in their own currency! This is the best no-nonsense practical guide in the marketplace for you to unlock the secrets to trading success. I’m sure you will find it a source of valuable information. But if, for any reason, you are not totally delighted with your purchase, I will give you a complete 60-day 100% refund Guarantee – no quibbles. I am that confident in my product to enable you to radically improve your trading results – if you follow my guidelines! PLEASE NOTE THAT YOUR PURCHASE WILL APPEAR ON YOUR CARD STATEMENT AS “CLCKBANK” AND NOT THE NAME OF MY GUIDE.